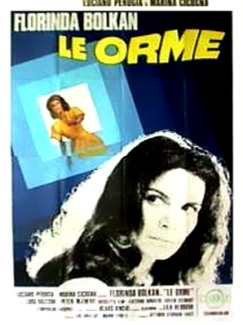 Alice (Florinda Bolkan), a translator living in Italy, wakes from a disturbing dream (of an astronaut left to die on the moon, a scene she recalls from a film) to discover that she has lost three days after having a breakdown and running out in the middle of a conference. 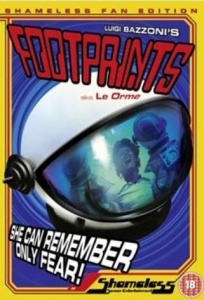 The only clues to where she may have been are a postcard for a hotel in Garma, a missing earring, and an unfamiliar yellow dress with a bloodspot hanging in her wardrobe. Alice takes off to Garma and finds herself remembering details of the place (she requests a specific room in the hotel). 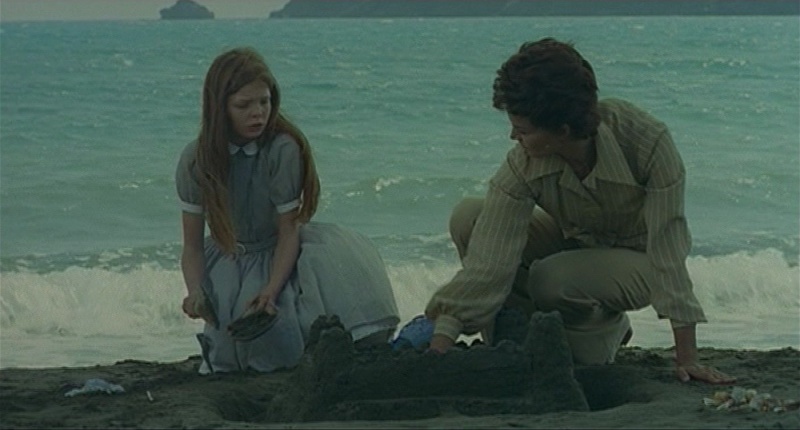 Paula, an “imaginative little girl” (Nicoletta Elmi) calls her Nicole and claims that she last saw her on the beach a couple days before. 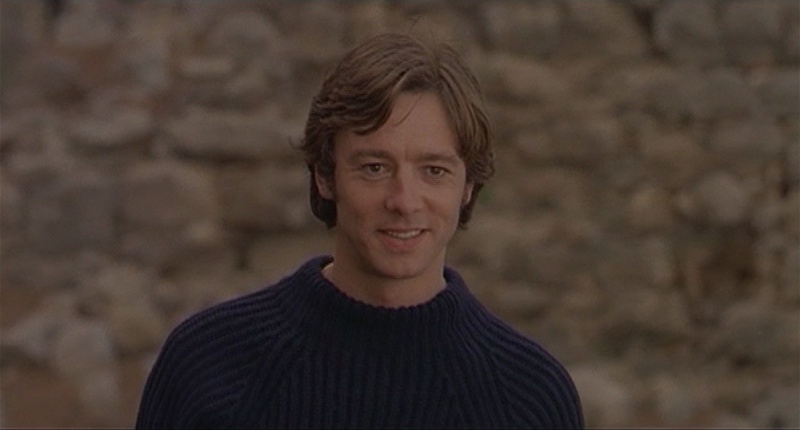 Alice also makes the acquaintance of Henry (Peter McEnery), a biologist who lives on the island. When Alice presses Paula for more details about Nicole, the girl is less sure that Alice and Nicole are one in the same (Nicole had red hair) and Mrs. Ines (Lila Kedrova), a vacationing widow does not remember seeing Alice. 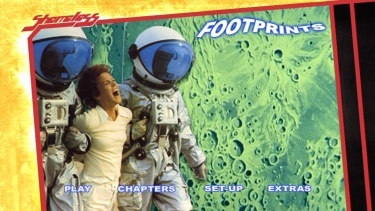 The dream imagery from the astronaut film becomes more vivid (we learn that the movie character Dr. Blackmann, played by Klaus Kinski, is experimenting with “cosmic isolation”) and Alice learns from Paula that Nicole was always hiding in the woods and that she tried to destroy a document about astronautics. Paula’s stray dog friend Fox also turns up with a red wig and the wigmaker also recognizes Alice as Nicole. A boutique that carries the same yellow dress found in her apartment sends her a hat and a purse with the name “Nicole” engraved on it. Alice discovers that Nicole bought a pair of scissors from another shop and she buys a replacement pair. Even the offer of a sympathetic ear from Henry is suspicious when Mrs. Ines points out that Alice’s pin was made by a Garma artisan who died years ago (suggesting that Alice/Nicole may have been to Garma even before her lost three days). 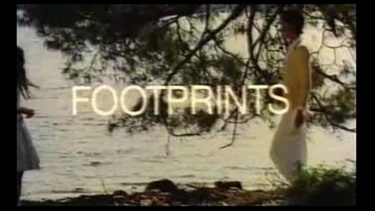 Based on a novel called “Las Huertas” by co-scenarist Mario Fanelli, FOOTPRINTS is a superior giallo-esque piece of cinema and is no easier to pin down to a specific genre than Bazzoni’s LADY OF THE LAKE. The ending is ambiguous and open to multiple interesting interpretations (even the final text coda inspires yet another interpretation rather than wrapping up the story). 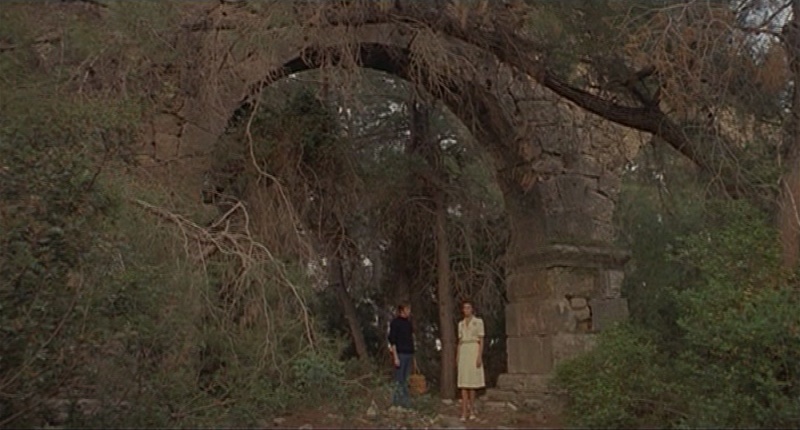 Cinematographer Vittorio Storaro does perhaps his most stunning work on a giallo (more so than on his previous collaboration with Bazzoni: THE FIFTH CORD) here with his trademark blues and golds along with some wonderful natural lighting and sparkling sunlit exteriors; Storaro’s camera operator Mauro Marchetti also worked with him on Bertolucci’s LAST TANGO IN PARIS. Academy Award-winning composer Nicola Piovani (LIFE IS BEAUTIFUL) provides a lyrical organ and orchestral score. 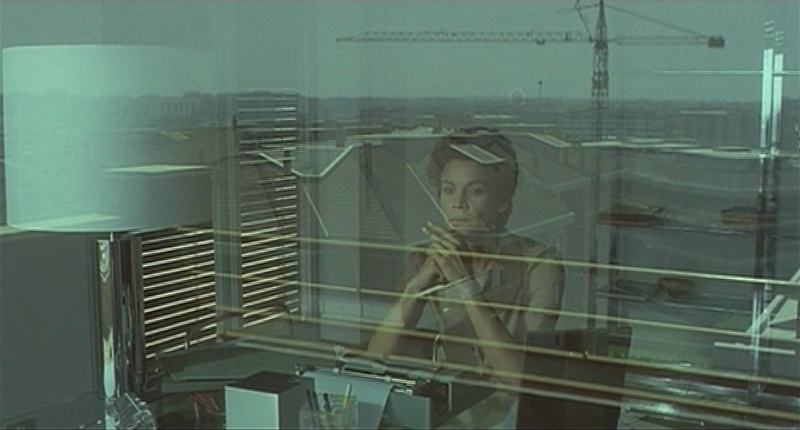 The ornate Garma exteriors and interiors contrast starkly with the Alice’s bare apartment and the modern architecture of the Italian locations and add wonderfully to the film’s surreal feel. 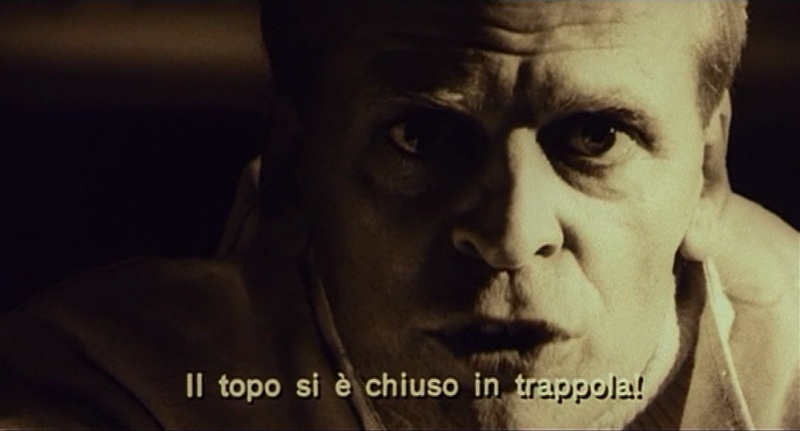 Kinski is sinister but does not get to go off the rails here (he’s dubbed by someone else but his character speaks English in both the English and Italian dubs of the film). By this point in giallo filmmaking, child actress Nicoletta Elmi (DEEP RED, BARON BLOOD) herself functions as more of a signifier of the genre than a character. The talented Kedrova (THE CURSED MEDALLION) and John Karlsen (SLAUGHTER HOTEL) are similarly more archetypal presences in their exposition-conveying roles. McEnery is the only unfamiliar presence in the genre and he is quite good with what little he is given to do. 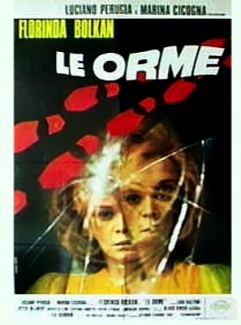 A disorienting storyline filled with ambiguous and suspicious supporting characters (that is not written and/or directed by Alain Robbe-Grillet) requires a strong anchoring central performance and Bolkan (LIZARD IN A WOMAN’S SKIN, Visconti’s THE DAMNED) is compelling as always and conveys her character’s disorientation effectively. Big thanks to Eric Cotenas for the Review! 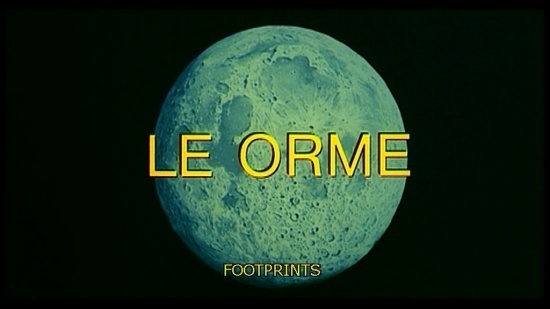 Shameless Screen Entertainment's transfer of FOOTPRINTS is a composite restoration effort that augments an attractive quality anamorphic Italian transfer (which at 1.78:1 actually reveals more picture information that the seemingly OAR 1.66:1 German Kinowelt broadcast) with several bits of footage present only in the Italian version (the film would run at 96:34 at 24fps which is 4 minutes longer than the US tape which was not a PAL-NTSC conversion as its 25fps running time corresponds to the 88:33 time of the English-language Greek tape). A few sequences multi-lingual sequences that featured film print subtitles (multi-lingual bits that were the same on all dub tracks) have had the Italian subtitled shots substituted with English subtitled ones (notably the conference flashback) while one scene featuring Klaus Kinski (who speaks English throughout) retains the Italian print subtitles. 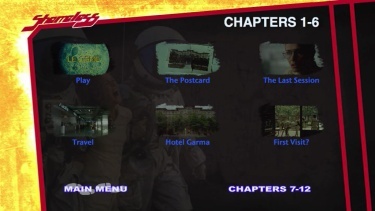 English subtitles are included for scenes present in the Italian version only as well as English subtitles for the entire Italian track. 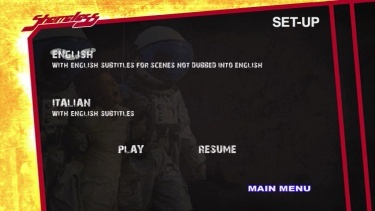 A hidden third subtitle option provides Italian subtitles for the entire film as well. 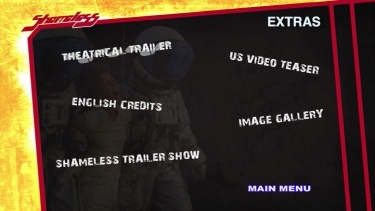 The film's English language opening title sequence, rare English trailer, and a video trailer for the U.S. Force Video release under the title PRIMAL IMPULSE are included along with an image gallery. 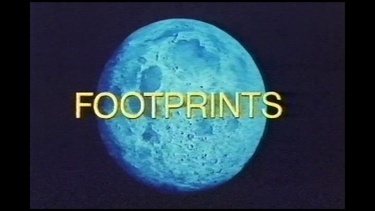 A Shameless Trailer show includes trailers for their first 20 releases (including a newly created trailer for FOOTPRINTS).